This amazing new Gel bandage is really a cross between a tail bandage and a tail guard. 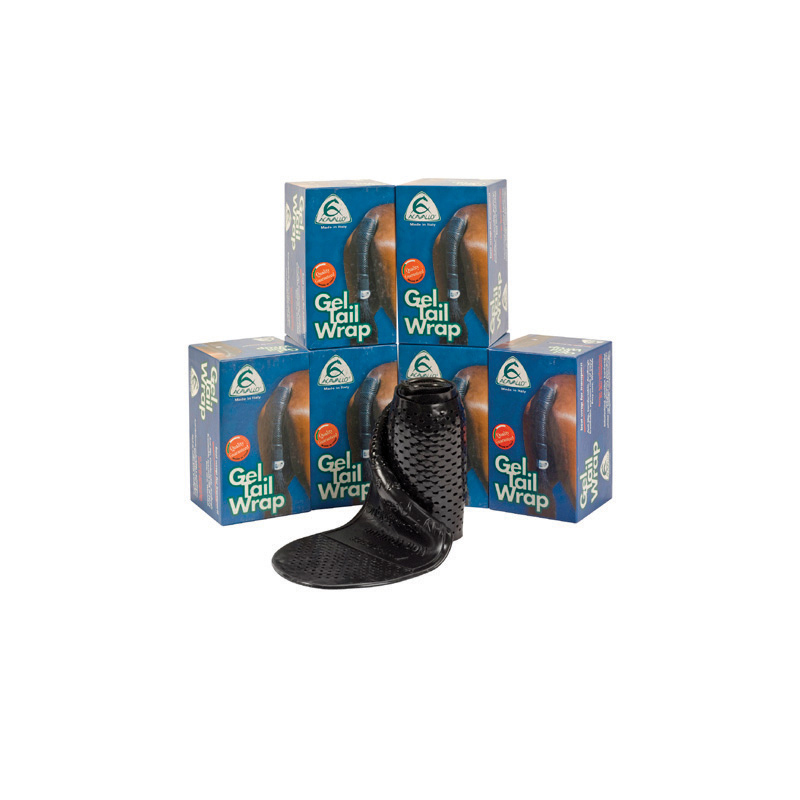 The super strong gel offers the protection of a guard absorbing any pressure if the horse sits on or rubs tail during transit but at the same time the sticky nature of the gel ensures the bandage never slips keeping the tail in perfect shape. The bandage is available in black and comes with a strong velcro strap.